Six Foot and independent developer YAGER have released the biggest feature update yet for Dreadnought, the class-based spaceship action game, on the PlayStation®4 computer entertainment system. These new improvements are designed to give players even more progression choices and ship customization freedom, as well as stronger feedback on their performance in battle. This update contains three patches previously released on the Windows PC edition of Dreadnought, as the development team continues working to achieve parity between both platforms. Six Foot and independent developer YAGER have released a new content update for the free Windows PC open beta of Dreadnought, the class-based spaceship action game, introducing a new, objective-based game mode: Conquest. Still in development but available now as a playable preview, Conquest pits two teams against one another, battling to capture and defend control points through careful positioning and dominance around the map. Six Foot and independent developer YAGER have released a new update today for Dreadnought, the class-based spaceship action game available now for free on the PlayStation®4 computer entertainment system. This latest update brings a whole new way to play by adding custom matches to the game. Custom matches allow players to set up private game lobbies, tweak settings like map and game mode, and invite friends to play with or against them. Options like filling empty slots with AI, playing matches with full-team squads, or even trying something wacky like 1 vs. 5 games are just the beginning; the team is working on additional features and options for custom matches. The space cadets at Six Foot and independent developer YAGER today announced the release of new update 1.11 for Dreadnought on PC. Enhancements to the multiplayer space action game include the new Naga hero ship, Polish text localization and a major overhaul of the tech tree among many other fixes and improvements. 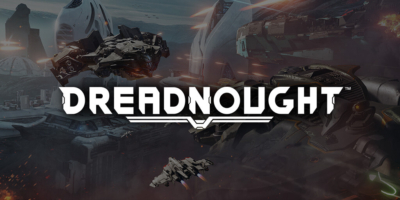 The seasoned space explorers at Grey Box, Six Foot and independent developer YAGER today opened a new chapter in the saga of multiplayer space action title Dreadnought, with the addition of Latin American Spanish language to the PC version, currently in open beta. The fiery licks of the latin tongue will bring new heat to the zero-gravity battlegrounds, along with a host of other tweaks to smooth the way to intergalactic dominance. Grey Box, Six Foot and independent developer YAGER have officially released the class-based spaceship action game Dreadnought on the PlayStation®4 computer entertainment system. Players who download the title for free today through the PlayStation®Store can grab the console-exclusive Hactar hero ship and two themes for free. PlayStation®Plus members can also receive a bonus Dead Man’s Hand Decal and Emblem as part of the “Dreadnought Maverick” DLC bundle.